Former Texas A&M Goalkeeper, graduated Texas A&M with Bachelor of Science in Agriculture Education and Master’s of Kinesiology with emphasis in Sport Psychology from University of North Texas. I started my coaching career in 2004 with Aggieland Soccer Club now Texans -College Station.Other coaching experience includes South Texas ODP, Texas A&M Soccer Camps, UNT Soccer Camps , Soccer Plus Goalkeeping Camp & Kevin Hartman Goalkeeping School. 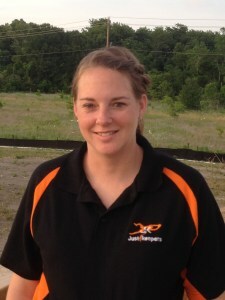 Currently the Director of South Texas ODP Goalkeeping. In the summer of 2013 I was the Director of University of North Texas Soccer Camp, the Director and Coach of the Goalkeeping part of the camp as well. I hold NSCAA National, Regional and State Goalkeeping license and USSF C License.